Eskisehir International Children and Youth Theatres Festival has started as a meeting conducted by Children and Youth Theatres Unit.Growing each year and gaining an international identity through time, the festival turned into a popular festival known and well accepted both in Turkey and around the world. Let’s have a look at the groups and activities took part through years. 13th International Eskişehir Children and Youth Theatres Festival met its participants between 26 May – 1 Jun, 2018. The Festival, begining with a cortege started marching from Adalar district,had an opening ceremony at the festival area located behind Haller Youth Centre. Festival lasted for a week all through the town, thirty nine shows were performed by fourteen groups from seven different countries. 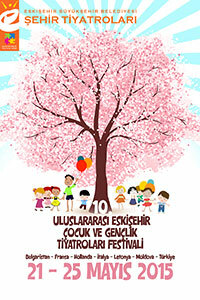 1st International Eskişehir Children and Youth Theatres Festival began as a meeting in March,2006. The Festival, lasting for five days between 20-24 March,has reached three thousand spectators through twelve performances and ended with a closing celebration and an award ceremony. The event,being developed a festival identity, was held in March,2007. There was an apparent increase in the number of spectators of the festival which lasted six days between 20-25 March. Fourteen performances were staged and more than seven thousand people were reached. The festival ended with a street celebration and an award ceremony. 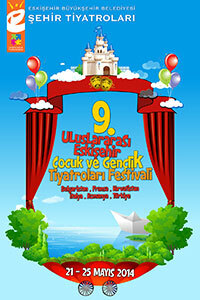 3rd International Eskişehir Children and Youth Theaters Festival was held in March,2008 as usual. Many national and international groups were hosted between 20-25 March for six days. Twenty one performances took place and eight thousand eight hundred people were reached.The festival enden with a street performance and an award ceremony. 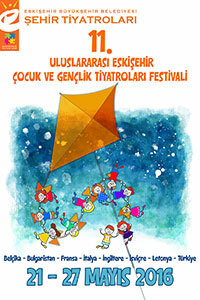 4th International Eskişehir Children and Youth Theaters Festival was held between 10-15 February,2009.Festival was the center of many colourful activities for six days. Thirthy performances were staged and more than eight thousand spectators were reached. The Festival took start with TIA Children Movies Show. 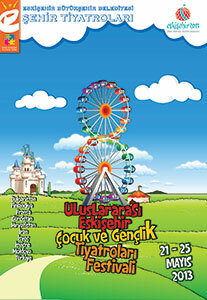 5th International Eskişehir Children and Youth Theaters Festival was held between 20-25 March,2010. Festival schedule was heavy. Eight performances from eight different countries were staged and more than ten thousand spectators were hosted. 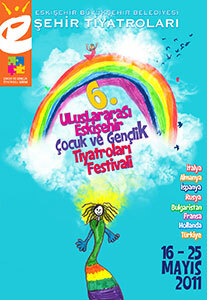 6th International Eskişehir Children and Youth Theaters Festival was held between 16-25 May,2011. Festival kicked off with a spectacular carnival. Enlivened by movie shows,panel discussions and workshops, our festival hosted groups from eight countries,fourthy performances and reached more than ten thousand children. The festival lasted for ten days and ended on 25th May. 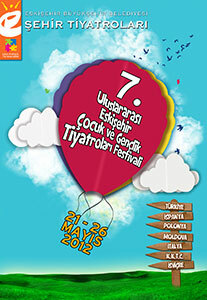 7th International Eskişehir Children and Youth Theaters Festival was held between 21-26 May,2012. Festival schedule was busy for six days. Twenty-one performances from seven different countries were staged,workshops and concerts were organized and more than ten thousand spectators were hosted. Two Luggagefull - Nicosia Municipality Theatre, K.K.T.C. 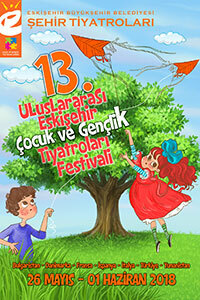 8th International Eskişehir Children and Youth Theaters Festival was held between 21-25 May,2013. Fourthy eight performances were staged and ten countries were hosted through six days. 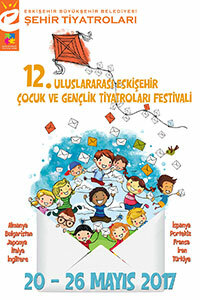 9th International Eskişehir Children and Youth Theatres Festival met its audience between 21-25 May,2014.There were thirteen shows of nine plays performed by groups of six different countries. 10th International Eskişehir Children and Youth Theatres Festival was held between 21-25 May,2015. There were twenty shows performed by twelve groups from seven different countries through five days. 11th International Eskişehir Children and Youth Theatres Festival was held between 21-27 May,2016. The Festival, beginnig with a cortege and lasting for a week all through the town ,hosted fourteen groups with twenty eight shows from eight different countries. 12th International Eskişehir Children and Youth Theatres Festival met its participants between 20-26 May,2017. The Festival, begining with a cortege started marching from Adalar district,had an opening ceremony at the festival area located behind Haller Youth Centre. Festival lasted for a week all through the town, fourty five shows were performed by eighteen groups from nine different countries.